One of the real consequences of a national emergency declaration, as threatened by Donald Trump, could affect you, an ordinary American with a big heart and compassion for the plight of others. It’s time for you to familiarize yourself with the International Emergency Economic Powers Act (IEEPA). This law is the backbone of economic sanctions levied against rogue actors, terrorists and the dictatorships that embrace them. A prime example are the sanctions against Oleg Deripaska, now in the news, and Russia as a result of the Skripal Novichok poisonings in the UK. The USG has used this economic lever against a number of countries, companies and individuals, freezing their assets and exports and penalizing any entity who breaks the economic lock and transacts business with a sanctioned entity. When a president declares a national emergency, economic sanctions under IEEPA are one of the most common results. Should Trump make a declaration, it is not out of the realm of possibility that he will try to impose sanctions. In this case, it will not be foreign actors who are punished. It will be Americans. As I previously described, this potential is dramatically real. Elizabeth Goitein in her article for The Atlantic described the fallout as it specifically relates to the IEEPA. He [Trump] could determine that any American inside the U.S. who offers material support to the asylum seekers—or, for that matter, to undocumented immigrants inside the United States—poses “an unusual and extraordinary threat” to national security, and authorize the Treasury Department to take action against them. The nature of this action by Treasury is so dire that it’s unfathomable that a president of the United States would inflict such vengeance upon a citizen. If for example, you have given “material support” to an asylum seeker and Trump has designated these people as a security threat, then you would be subject to “action” by Treasury. Material support might be bottles of drinking water, clothing, food, medical supplies, boarding, bus tickets. It might include fundraising campaigns, donations to the number of non-profits who are directly assisting them, message boards, even news media. What if you offered day jobs to undocumented migrants? You are targeted for sanctions. Pro bono lawyers, religious and social service agencies, fraternal organizations – all could fall under the purview of IEEPA. Not every person would be targeted. 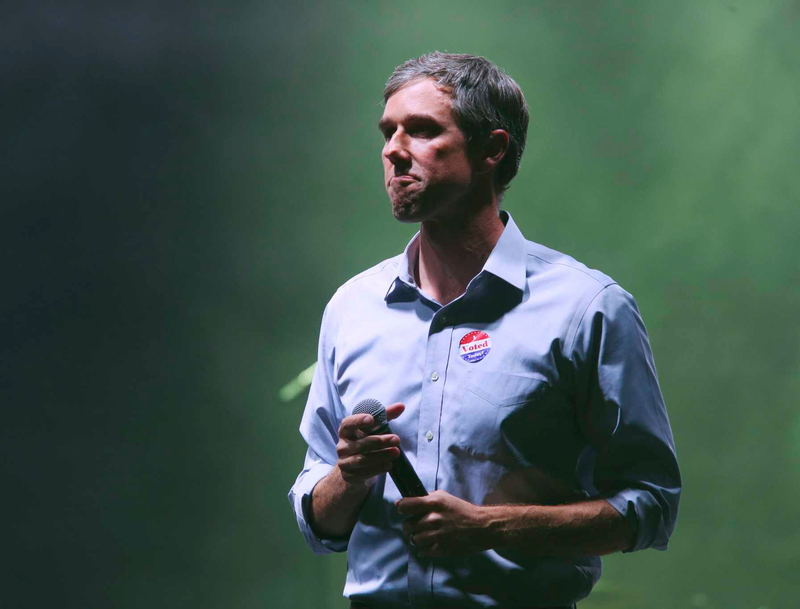 Goitein says it’s more likely that Trump would start with high profile individuals – people like Beto O’Rourke and organizations such as RAICES – to conflate the issue. However, little is predictable with Trump. He could just as easily direct his Treasury to inflict pain upon ordinary citizens as a fear tactic. Whoever violates, attempts to violate, conspires to violate, or causes a violation of any license, order, regulation, or prohibition issued under the IEEPA… is subject to fines that cannot exceed the greater of $250,000 or an amount that is twice the amount of the transaction that is the basis of the violation with respect to which the penalty is imposed. In addition, willful violators can be punished by fines of up to $1 million or, if a natural person, may be imprisoned for not more than 20 years, or both. If all this sounds fantastical to you, then stop and think about where we are at this moment. We have an individual in the White House who is already economically punishing 800,000 Americans in pursuit of a medieval wall to fulfill a campaign promise. This person refuses to fund the government, refuses to compromise, refuses to negoitiate – all the markers of an authoritarian personality. He is an unindicted co-conspirator alongside a convicted felon; a head of state who shows more affinity for dictators already sanctioned by the US – Putin, Kim Jon-un – than for citizens of the country he purportedly represents. The real emergency is occupying the White House.